From the incredibly popular book! 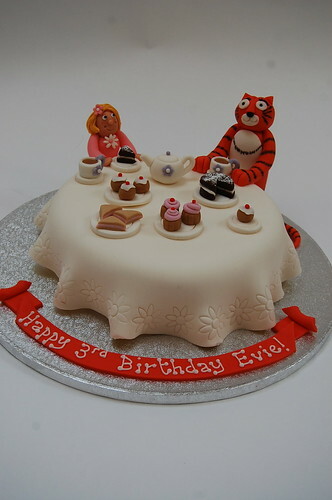 Personalise the tea table with your very own little darling sitting with the tiger! The Tiger Who Came To Tea Cake – from £80.